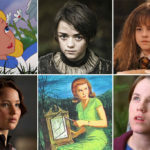 Each time I discover a contemporary YA novel, it causes me to reflect back on my own youth and how certain themes played a significant role in my younger years. 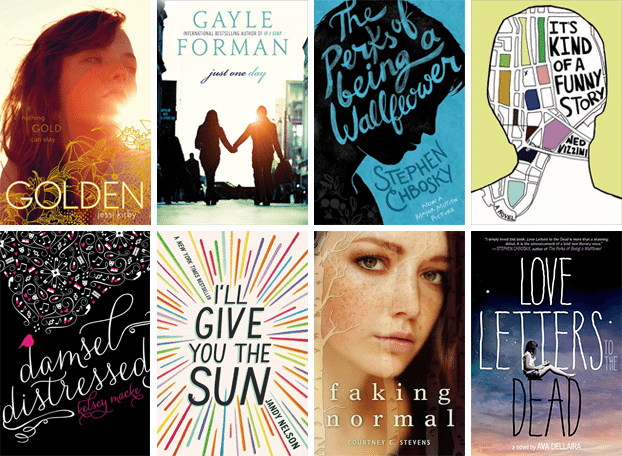 All of this propelled the idea to write my own letter, and ask others to write a letter to their YA selves as well. 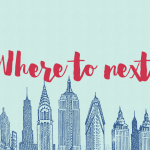 Over the next month bloggers, readers, and authors will be sharing their open letters to their YA selves. Please join me as we reflect back on our youths, recommend books to our younger selves, and share personal stories waiting to be told. It’s me- well, you. In the future. You know, whenever I think about when I was truly happy, I think about you. You love life so much. You adore your crazy friends. You feel relaxed about school. You’re passionate about your family. You’re just glad to be you. Sophomore year is a blast and you can’t get enough. I hate to be the bearer of heartbreaking news but life isn’t going to be so perfect and good. Come junior year you’ll be torn from your best friends, put in a different class from them. Things will change. You’ll also be very pressured to keep up good grades because you want your college applications next year to look good. When senior year comes, you’ll be anxious about college entrance exams. You’ll be so disappointed when you get into your dream university but your parents won’t let you go. But the most heartbreaking of all, you’ll lose the person you love the most- your grandma. You won’t cry at first but you’ll feel like you’ve died inside. You’ll try to move on when you get to college. You’ll be hopeful because you’re still attending one of the most prestigious schools in the Philippines and because you’ll meet so many interesting new people. But it’ll be a tough adjustment. You won’t feel good enough even when you try so hard. You’ll fail a subject for the first time in your whole life. You’ll lose one of your best friends forever. You’ll cry many shattered tears. You’ll feel tired and hopeless and sad. And it’ll feel too much like a black hole sucking you in. You’ll want to give up. But here’s what I know: you won’t. Because you’re strong Hazel. Even when you cry, you’re strong. You know how to accept your feelings and you let yourself feel them. You’ll get up when you fall. You’ll make hard decisions- transfer schools even though people may call you weak for it- but you’re strong because you’re doing what’s best for you and not anyone else. You’ll get through the dark tunnels, YA Hazel. I believe in you. Another thing I’m sure of is that you won’t be alone through it all. Your friends, no matter how life changes, will be there for you. Your family will always be your rock. But most importantly, you’ll have books. The stories you’ll read will save you. They’ll be your anchor and they’ll be what grounds you. They’ll make you fall in love, they’ll cheer you up, they’ll give you hope. Always hold on tight to them. Let them knock your heart right open. The list is really long, Hazel. You’ll love many books. They’ll give you adventures and inspire you to be alive. You’ll slowly find yourself in them. I’m not yet sure when but I’ll keep you posted. PS: This is an open letter. 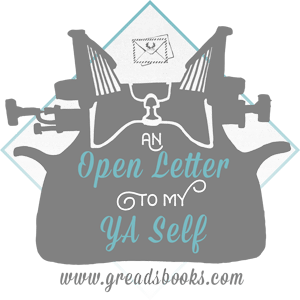 And everyone who reads totally needs to to enter this awesome giveaway from GReads, the lovely host of Open Letter To My YA Self! 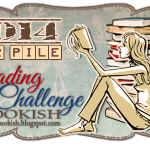 The contest is open internationally! Such an inspiring letter Hazel! Oh Hazel, this letter is so lovely. I could feel the heartbreak that you went through as a teen, but I could also feel the hope and strength that pulled you through. Thank you SO much for sharing this and being apart of my feature, xo. This was heartbreaking – almost made me cry. And you’re right – when you pull through you do come out stronger. The books always help. Oh so cool!! 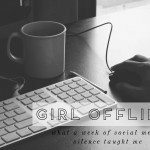 I started this bookblogger journey in 2010 and it’s been a while! I would tell myself that you need to find yourself and stop worrying about what other people think of you. High school is only four years, college will be so much better! Also, read Since You’ve Been Gone by Morgan Matson, find yourself in it. I feel like so much happens after junior year of high school. It’s such a major change from being carefree and sixteen to learning to become an adult and be responsible over night. I can tell by reading this that you are such a strong person. Seeing everything that you have endured and how you came out on top is truly inspiring. I believe the only thing I’d say to my younger self would be to remember that I’m the hero of my own story (I kinda got the inspiration of this from Michelle Hodkin haha) because then I could truly love myself and accept what this world truly is. I’d recommend to little self to read Peter Pan even though until now I haven’t read it myself (whoops) but really, I think that would teach my younger self to belive that my dreams can be turned into reality. Oh Hazel, your letter is so sweet. I can’t even imagine the day I will lose my grandmother. You went through a heart breaking experience so young and even though I have never met you, I just want to give your YA self a hug. You almost made me cry with that letter… I hope that things are better for you now. If I could tell my YA one thing, it would be to not worry so much about what people think and to step out of my comfort zone sometimes. I’d also tell myself to read If I Stay by Gayle Forman. + I’ll recommend To All The Boys I’ve Loved Before or Burn for Burn. Your letter was so touching and moving!! Thank you for sharing with us a part of your life. I adored your letter to your younger self, Hazel! I think it’s so beautiful that you were able to stay strong through so much, and that you’ve started to find your footing. Growing up is always so hard to do, no matter what age you’re at; like you, books helped me through most of my teen years. Loved the titles you picked out as well!